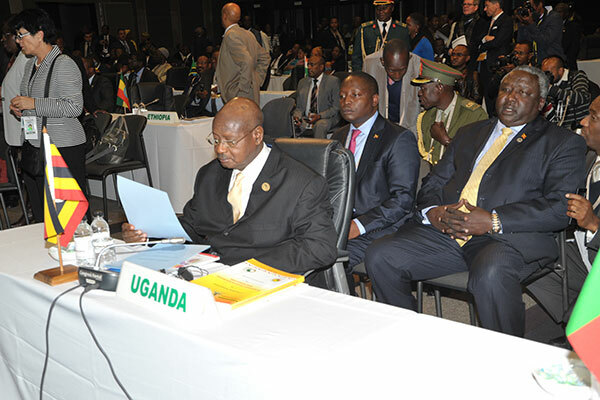 President Museveni and the Uganda delegation. At this 23rd Summit of the African Peer Review Mechanism Forum, Uganda presents its “Fourth Annual Progress Report on the Implementation of the National Programme of Action for the period July 2011- June 2014”. This is in line with the APRM objectives and processes. Since its inception 12 years ago, this mechanism has reviewed 17 countries. I, therefore, would like to take this opportunity to congratulate the Heads of States for their commitment to this home grown initiative. Colleagues, during this period, Uganda has been Peer Reviewed three times and remarkable governance reforms have been adopted. To take one example, the APRM Programme of Action has now been integrated in our Uganda Vision 2040 and the National Development Plans. Three Annual reports have so far been presented to this Forum. Your Excellencies, my commitment to this APRM process, therefore, remains unequivocal. Uganda has ratified and domesticated protocols that protect children’s rights and those promoting women rights. A draft National Civic Education Policy is now in place awaiting to be approved by Cabinet. The Anti-Corruption Division (ACD) of the High Court maintained an outstanding performance, completing 76.7% of the cases before it during the period 2013/14. There is still need for harmonization and strengthening of the laws and institutions that fight corruption including the Leadership Code Tribunal; there is also need for mind-set change because society, to a large extent, still glorifies the corrupt. Comprehensive civic education as envisaged by the Constitution has not yet been realized. Uganda has focused on compliance with the COMESA and EAC protocols with a very busy schedule on the legislative calendar to harmonize national laws to the EAC protocols. Macroeconomic management remained on course with inflation reducing from a high of 30.6% in November 2011 to 2.9% in June 2014 and, eventually, averaging at 12.1%. This is despite the fact that the world economy was going through the credit crunch during this reporting period and our economy remained resilient. The Economic growth rate averaged 4.1% against target of 7.2% for the National Development Plan. The absence of strong anti-counterfeit legislation in Uganda, is leading to flooding of the Ugandan market with counterfeit goods, which undermines the efforts towards manufacturing. Domestic government borrowing has cut back lending by banks for private investment in favour of safer alternatives of investing in government securities. Uganda continues to register progress in attracting Foreign Direct Investment (USD 1,134 million in 2013). Uganda has benchmarked a number of internationally accepted corporate governance best practices and codes and standards which auger well for making the country an attractive investment destination. There is limited access to finance for investment due to high interest rates. This is due to factors that are not clear to me because inflation has been low all these years. Some years ago, the IMF came and gave me a lecture that the interest rates were high in Uganda because our Government Commercial Bank, UCB, which was making profit that time, was corrupt and inefficient. Why was it so? It was so because, according to them, UCB was giving improperly evaluated loans which end up not being paid. Those that pay, therefore, end up paying for the ones that do not pay. That is why the interest rates end up being high. I was a good student and I privatized the UCB. However, the interest rates are still high as the report says in spite of the inflation rate being low all these years. We are, therefore, looking for a new medicine for the interest rates. The IMF medicine has not worked. Investment in rural electrification has been intensified with connection of district headquarters to the national grid prioritized. The volume of paved roads increased from 16% in 2011/12 to 18.1% in 2013/14. In 2012/13, a total of 205.6 was done and another 305km in 2013/14. 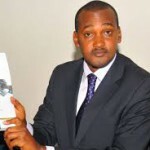 The absence of a body to oversee the implementation of key strategic projects contained in the Uganda Vision 2040. The share of commercial bank loans to agriculture remains low which makes transformation of the rural economy difficult to achieve. Ugandan youth remain uncompetitive because of the low number of years they stay in school and lack of appropriate industry skills. Uganda’s handling of refugees it hosts from the region has been hailed as exemplary. We handle the refugees well because we do not believe in the colonial borders. We cannot accept that the French, the English, etc. could come and say these are Congolese, these are Ugandans, these are South Sudanese, these are Tanzanians, these are Kenyans, etc. Yes, we recognize that reality but we also know that these people are our relatives. They are Africans. They are part of the Bantu groups that are found in Uganda. They are part of the Nilotic groups that are found in Uganda. They are part of the Cushitic groups that are found in Uganda. Uganda, therefore, is their home. Community policing being implemented by the Uganda Police Force contributing to peace and security. Government’s commitment to a tight monetary policy and wealth creation programmes has seen Uganda’s income poverty levels reduce from 22% to 19.7% in the reporting period. The management of the oil and gas process so far, such as setting up institutions to manage production and revenue utilization; building Ugandan capacities from policy, analysis, technical skills and deliberate effort to collaborate with non-state actors. The report is praising our petroleum and gas policy because we have said that our oil money will never be used to import perfumes and wines. We have told our daughters and our wine consumers that they will have to use other monies for those purposes but not the oil money. The oil money will be for infrastructure (the electricity, the railways, etc.) and for scientific research and innovation. The establishment of a gender e-Resource Centre in 2012 and having it hosted by the National Women’s Council under the Ministry of Gender, Labour and Social Development is a good practice. Government is urged to complete the process of ratification and domestication of the outstanding protocols. Where these conflict with national values, Uganda should present its case to the APRM Forum for further deliberation. To enhance professional journalism and media reportage, Government should put in place an institute for training journalists beyond the university courses, particularly in investigative and financial reporting and to practice responsible journalism. As of now, somebody just declares himself a journalist and starts writing without any skills. In order to promote macro-economic policies that support sustainable development, government should take a deliberate effort to plan and implement the widening of the tax base in line with the needs for financing the national development plans. The Government is urged to put in place strong and enforceable anti-counterfeit legislation to promote and protect domestic manufacturing. Government is urged to intervene over the high interest rates and spread between what commercial banks offer as interest on savings and the interest they charge on loans. The government is urged to urgently put in place a mechanism to oversee the implementation of key strategic projects contained in Vision 2040 as some are regional in nature and require high level coordination across government and Non-State Actors. The moratorium on creation of new districts and constituencies should remain. The panelists do not understand my problems. I create districts and constituencies, sometimes, so as to effect internal emancipation of some of our peoples. The colonialists, who did not understand our society, would lump certain tribes together in one administrative unit. Since our people, sometimes, do not vote politically but ethnically, it means the smaller tribes will be marginalized in politics, administration, etc. Hence, these administrative and representation units. They are for internal emancipation. Ideological disorientation (sectarianism of tribe and religion as well as gender chauvinism). The mistake of interfering with the private sector like when Idi Amin uprooted the Indian Community from Uganda in 1972; yet these were the entrepreneurial class. Some people wonder why the Asian countries such as South Korea, Singapore, etc., which had no resources, developed faster than the African countries such as Uganda which had everything. Persecuting the private sector was one of the reasons. The problem of an under-developed infrastructure (electricity, roads, the railway, the telephone, the ICT back bone etc.). The problem of a weak state, especially the Army, the Police, etc. The under-development of the human resource (lack of education and poor health). The problem of a fragmented African market on account of colonialism – when you produce a product but nobody buys or you do not get enough buyers, you cannot prosper and expand your business. Lack of industrialization – the modern slavery of exporting raw-materials where we get only 10% of the products we sell and export jobs to other continents. The under-development of services sector (banking, insurance, tourism, etc.). 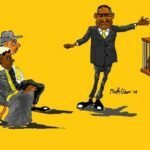 Ideological disorientation – we treat with contempt and do not tolerate for a moment those who promote sectarianism and gender chauvinism; that is why Uganda’s record on women emancipation is excellent and there is peace in the whole Country. The private sector has been emancipated from interference by the state; that is why our economy has been growing at the rate of 6.6% per annum for the last 29 years, the bottlenecks notwithstanding; the private sector has played a crucial role in that recovery. Working with our brothers and sisters in the EAC and COMESA areas to end the fragmentation of the African market to that extent; our entrepreneurs have a bigger market to sell to and we can negotiate more credibly with other partners in the World. The massive free education programme for Primary and Secondary Schools, the expanding of tertiary and University education, massive immunization programmes have produced a more educated and healthier generations; the literacy rate is now 75%; the struggle now is to skill these educated people and create jobs for them. On account of defeating the ideological disorientation, we have been able to create a strong State, starting with a revolutionary Army, the UPDF, that has even contributed to peace in the neighbouring countries. Democracy was restored even when we were still in the resistance. 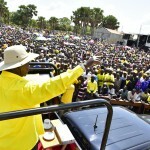 We have been lagging behind in the area of infrastructure because, initially, we depended on external financing for infrastructure development; since 9 years ago, however, we created the Government funded Energy and Road funds; these have enabled us to catch up on infrastructure development; for the first time in the history of Uganda, Uganda is under taking massive road and electricity development; the aim of this effort is to lower costs of doing business in Uganda; on this, we are adding a modern Standard Gauge Railway. On the issue of ending slavery of exporting raw materials, we are beginning to achieve progress in the area of value addition and industrialization by either implementing plans to add value to milk, meat, coffee, cotton, tea, minerals, etc. or having such plans in the pipeline. On the side of agriculture, the problem has been so many of our people continuing to engage in just subsistence farming – growing only food crops or rearing livestock for subsistence; we are now in the process of universal commercialization of agriculture (small, medium and large scale). The services sector is growing at the rate of 10.2% per annum. Therefore, Uganda is finally waking up to embrace and understand the purpose of our vision. Uganda will become a lower middle income by 2020 and a high middle income by the year 2040. The policies we pursue are not the end in themselves. Policies are a means to an end. The end is the total social-economic transformation of Uganda to become a first World country in the next 3 decades if not earlier. Colleagues, the details of the progress on implementation can be found in the copies of Uganda’s Fourth Annual Progress Report that has been distributed to you. I pledge my government’s commitment to ensure that issues identified in this report are addressed within our existing legal framework and available resources. We are also keen to learn the best practices from member countries. Finally, I would like to inform you that we have started the process of the Second Cycle of the Country Self-Assessment.